We all know that feeling as we prepare ourselves for another Monday blue. This melancholy is a sign that our Soul-Body-Environment trio are out of sync with our lifestyle. “As you sow in your subconscious mind, so shall you reap in your body and environment." Session has been designed for both beginners and advanced yogis. Activity will comprise of a short introduction, meditation, warm-up, yoga and casual discussions. Sessions will be organized weekly. You may also consider the option of purchasing a mat in future or after the first session. 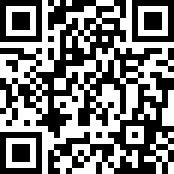 For payments, please visit https://yoopay.cn/event/71662754 or scan QR code below.